More clip cards! Well, they are just so much fun, and E can’t get enough of them. 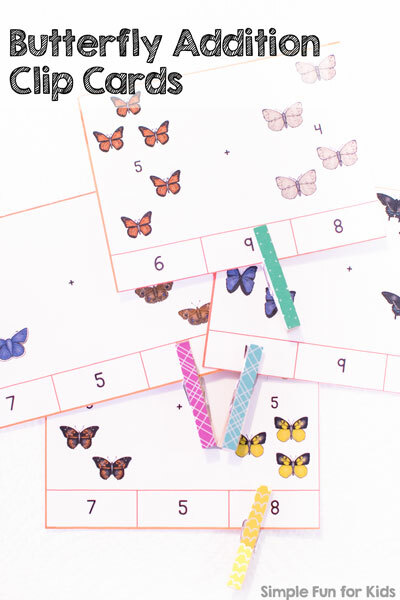 Today, I have some Butterfly Addition Clip Cards for you. They go great with the little board book Butterfly Colors and Counting if you’d like to extend the math you’re working on for older preschoolers and kindergartners. The printable consists of three pages with four addition clip cards each and sums between 2 and 10. Each addition problem is represented in numbers and with two different kinds of butterflies. Print the pages, laminate, cut out the individual cards, and provide clothespins to mark the correct answers. As usual, feel free to ignore the clipping aspect, leave the pages intact, and mark the appropriate numbers with markers, stickers or manipulatives. 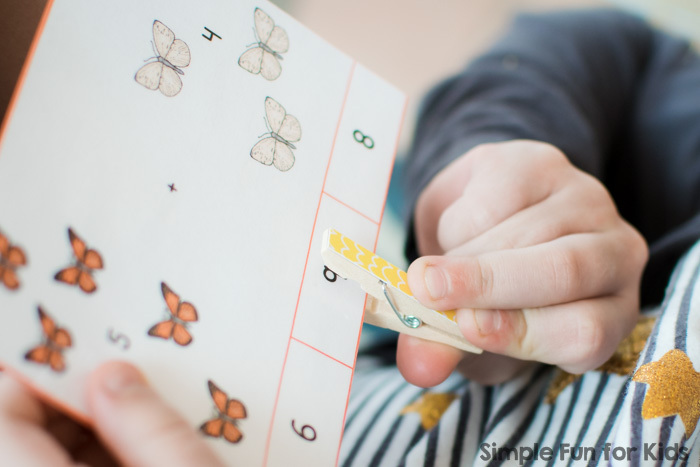 Download your Butterfly Addition Clip Cards! Check out my Friends’ Posts for this Week’s Insect Theme! Lovely way to work on math skills!